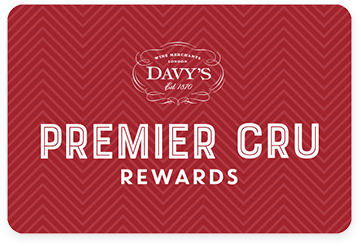 Premier Cru Rewards - Purchase this today and earn 297 points to redeem for free wine and gifts. The champion of English sparkling wine! Nyetimber came to fame after beating some Champagne at a blind tasting competition in Paris in 2016. This is also one of the rare English winery to own all its vineyards and is now producing non vintage sparkling wine, just like Champagne. Tillington is the first Single Vineyard sparkling wine ever produced in England. Made mainly with Pinot Noir and some Chardonnay, about 4000 bottles are produced in exceptional year, each bottle being individually numbered. Aromas of redcurrant, wild raspberry and toasted brioche. Very elegant and complex on the palate with fine bubbles, mineral notes and a great length. English sparkling white wine from Sussex England, made with Chardonnay and Pinot Noir. Nyetimber is located in West Sussex and only produces sparkling wine sourced from their own vineyards. Nyetimber comes from ‘Nitimbreha’, the name of the land 1000 years ago, meaning a newly timbered house or maybe a small timber plantation. Since the first vines were planted, with exclusively traditional Champagne grapes in 1986, the first to do so in England, they have been producing award winning wine and have been known to beat Champagne in blind tastings competition. View our selection. The 170 hectares of vineyards are planted with Chardonnay, Pinot Meunier and Pinot Noir. All wines are made via the traditional method and aged before release.